We can create any candy presentation to make your special occasion sweeter and more memorable! Each creation for every event is unique! No two candy buffets or party trays are identical. 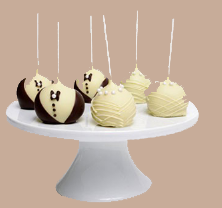 We tailor the candy and presentations to your special event…coordinating with your theme, colors and occasion! Ready to serve for effortless parties! Available in combinations of delicious assorted chocolates, mixed nuts, and foiled hearts. For an added touch of elegance, choose a party tray enhanced with decorative foiled chocolate roses or delicate touch of silk flowers. The choices are many! 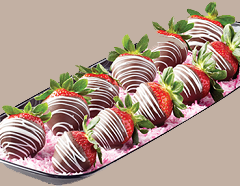 A sweet touch to a shower, wedding, rehearsal dinner, anniversary, banquet, or any special occasion! Choose a two or four-piece gift boxed chocolate assortment, fresh nuts or other ideas wrapped in decorative tulle nettings, reception sticks, chocolate-dipped spoons, or anything else you can request! You can also select small gift boxes with personalized names, dates, or messages. Bring your ideas and we can create them! The possibilities are endless! Your choice of pure Gorant milk, dark or white chocolate! Roses, wedding bells, doves, hearts, bride, groom, place cards and many more. Over 1,000 designs! Stop by our store or call us and talk with one of our special occasion consultants! We are eager to make your event extra special!